The European energy sector stands in front of a gargantuan task of becoming carbon neutral by 2050. Apart from the many technical challenges for achieving this ambitious goal, there is also a social and economic dimension to it. Policies must ensure that our lights will not go out, that energy poverty among citizens will not rise and that European industry remains competitive. In its Strategic Long-Term Climate Vision “Clean Planet for All”, the European Commission outlined pathways how the European energy sector will need to gradually move towards carbon neutrality by 2050. Potential solutions being put forward by the Commission are a higher uptake of energy efficiency and renewable energy, as well as a greater role for electricity in heat and transport. Yet, the Commission acknowledges that only an 80% reduction in greenhouse gases can by achieved by 2050 through additional but non-coordinated efforts in electrification, renewable energy, hydrogen, power-to-x-, demand side efficiency and further circular economy measures. Moreover, there is growing evidence that addressing energy systems in isolation from each other rather than in a coordinated manner is likely to also have a higher price tag for both consumers and the overall energy system. Therefore, we should switch from thinking in terms of “silver bullets” to a “energy systems integration” model. In other terms, we need to break the silos between the electricity, heat and gas networks. One such example is power-to-x, which allows excess renewable electricity not to be curtailed, but to be used to produce heat, synthetic gases or hydrogen. Cogeneration, the simultaneous production of heat and electricity, then completes the picture by efficiently using a variety of low carbon and increasingly renewable energy sources delivered through the gas networks to produce heat and electricity. High efficiency cogeneration will not only help offset any energy losses incurred in producing hydrogen or other synthetic renewable gases, but it will also help increase flexibility between all energy carriers. Furthermore, smart heat systems can help shift electricity consumption off-peak (e.g. heat pumps plus heat storage) or generate electricity during peak time to lighten the strain on the grids (e.g. cogeneration producing low carbon electricity during high peak demand times when the sun does not shine or the wind does not blow). It will be vital that integration takes place near the end customer, where all energy networks and services can be adapted to local circumstances as they come together, empowering local communities and businesses to take ownership of the energy transition. This new model requires coordinating decisions at national, regional and local levels with respect to the electricity, gas and heat infrastructures. Getting the integration of energy systems right will maximise decarbonisation, energy efficiency and renewable energy efforts in a cost-effective way. Key elements of this approach include: 1) the smart operation and aggregation of installations and networks via automation and storage technologies; 2) integration across different energy systems via efficient and ultimately carbon neutral technologies that combine two or more energy vectors such as cogeneration; 3) integration between energy carriers via power-to-X by transforming excess renewable electricity into green gas and hydrogen. Studies have estimated the benefits of taking a more comprehensive and integrated approach to energy systems decarbonisation versus the additional costs of un-coordinated action. Pöyry estimates €1150bn in savings in the EU when making use of zero-carbon gas to decarbonise Europe’s energy system by 2050 compared to electrification-only scenarios. The EU project Heat Roadmap Europe found that “increased electrification of heating and cooling could potentially redefine the electricity sector” and that this poses “key challenges and potential limitations related to electrification, since it is highly unlikely that the electric grid could be expanded rapidly enough in Europe over the coming decades to accommodate such a large growth”. 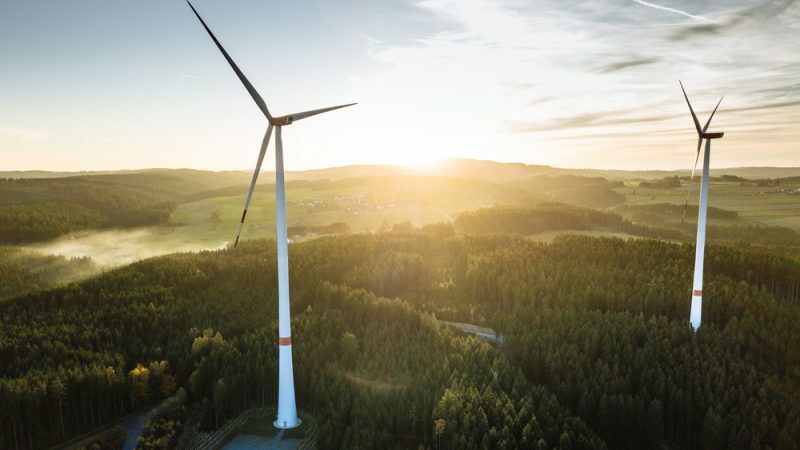 The German Energy Agency (dena) also put forward an ambitious decarbonisation strategy with sectoral integration at its core, taking advantage of all energy networks and energy resources, including high efficiency cogeneration. All these options represent opportunities to integrate more renewables, reduce CO2 emissions as of today, improve overall system efficiency and lower costs for consumers and businesses. What will be needed to unlock these potentials is increased coordination between market actors, consumers, local and national authorities. This should be supported by policy and regulatory frameworks at both the EU and national levels. The energy transition is underway and the cogeneration sector is committed to the creation of a resilient, decentralised and carbon neutral European energy system by 2050. We see cogeneration as the backbone of this system. 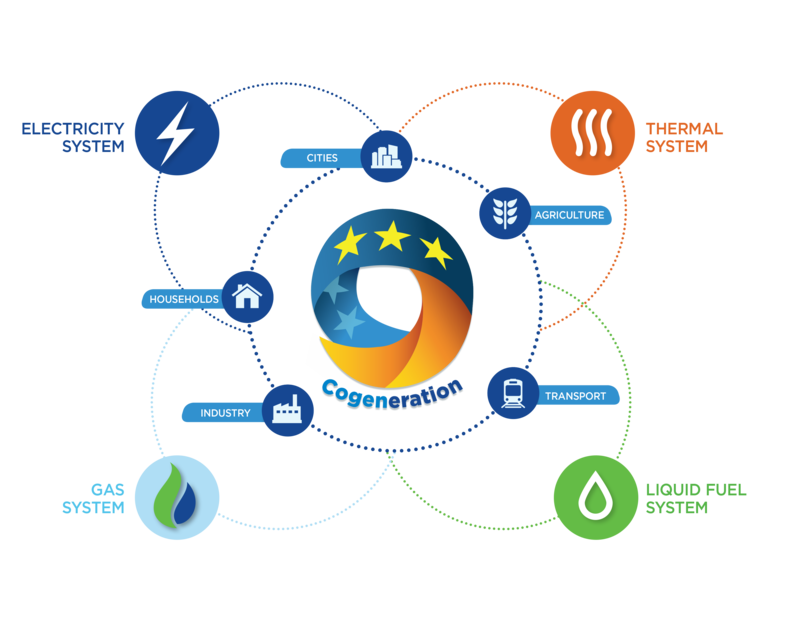 Cogeneration will empower European citizens and industry as they will generate their own reliable, affordable and clean heat and power where and when they need it. There is much to agree with. A couple of niggles. The use of the word “smart”. A certain class of politico and Commission official are addicted to the word. However, for the most part it tends to confuse and obscure. Thus “smart heat systems can help shift electricity consumption off-peak” that would be as opposed to “stupid heat systems…..?”. The ability of a heat pump system to time shift electricity consumption is part of its functionality i.e. it is built in. Clearly one still needs some level of control system – “smart control” – probably not. In the case of hydrogen from “excess electricity” – this is a meme that has had its day (although the ECF still think it has legs). The facts of the matter (emphasis on facts) are that electrolysers need to operate with a certain capacity factor – typically north of 30 – 40%. At these levels the investment in the hardware starts to evaporate as a cost element & you are left with O&M i.e. electricity costs – on which rests the “business case”. I agree 100% with the sectoral integration argument – that said – H2 generation using excess electricity does not work in that argument. H2 is part & parcel of sectoral integration as is RES overbuild with H2 taking advantage of that. As for this statement (from Poyry) “highly unlikely that the electric grid could be expanded rapidly enough in Europe over the coming decades to accommodate such a large growth” – 100% correct. Unlike most commentators I have designed networks and laid power cables – it is time consuming & costly & frankly, a pain in the arse. Anybody that thinks that Europe’s distribution network can be re-built in a heat-pumps-rules-the-world scenario is heroically ill informed, deluded and/or mad. Co-gen is part of the energy transition tool-kit as are heat pumps! – we need sectoral convergence, we need to use both the elec and (re-purposed) gas networks and we need realism. I will read the Poyry report with interest.